What color to Raptor line roof? I'll be installing a fan/vent and coating our roof with U-Pol's Raptor liner soon. Trying to decide between different color combination. 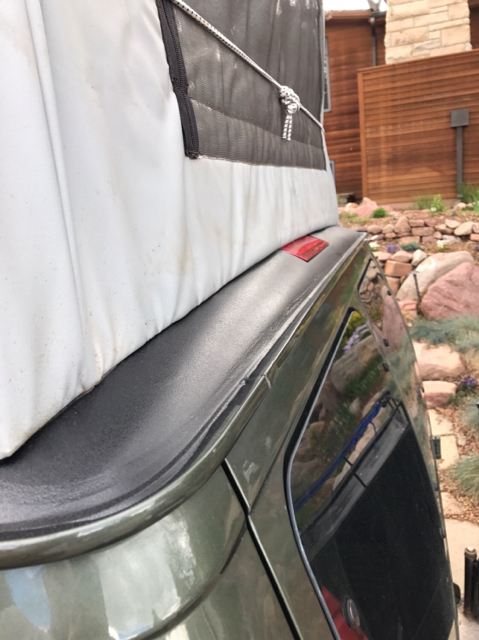 Option 3 - Black fan/vent, black roof and black liner for rocker panels. Can anyone weigh in on effects of interior temperature differences between white/black roofs? I assume it's negligible if there are shields in the windows and ventilation. Here's a pic of our van for reference. If it were me I'd do either blue rockers to match body, or black rockers to match bumpers/wheels and possibly flares if you ever go that route. I'd do a white roof and fan to cut down on heat. Or color match roof and fan to match body. A few other folks have done white roofs. Maybe they will chime for in on how effective the lighter color was on top. "understeer is when you hit the wall with the front of your car, oversteer is when you hit the wall with the rear of your car, horsepower is how hard your car hits the wall, and torque is how far your car moves the wall." White roof, have heard first hand it helps to reduce interior temps, plus it's not visible anyway. I have our whole top painted body color, dark green, I would consider doing the flat surface up top in white if doing it again, although not sure it would make any difference with having a roof rack covering the whole thing. I'd do black rockers for a more aggressive look or body color if you don't want to change the look that much. Been thinking of doing mine in black. The blue with a white roof would look great. Been done before (successfully) on the FJ. Black rockers to work with all the other black you already have going on. I would also consider doing the gutters/ drip rails and end on the bottom lip against the body. I did that to mine to help protect from rust that alot of these get. And I vote black for the rockers and do inside your wheel wells too, a pain to prep but results were great on mine. I have lots of pics in my gallery if you want to check it out from when I did my Upol Raptor Liner. Thanks. I was debating coating the entire gutters and underside...seems to make sense. I'm planning to completely scrape and sand the gutters first as I have some surface rust in a few areas. 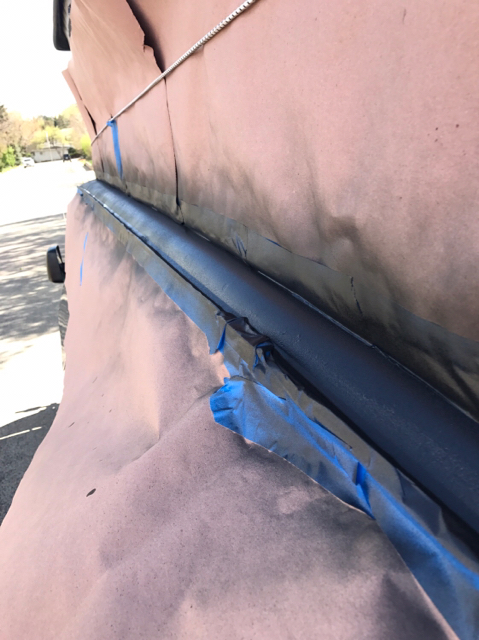 Did you re-seal yours first or apply raptor liner directly to bare rails? 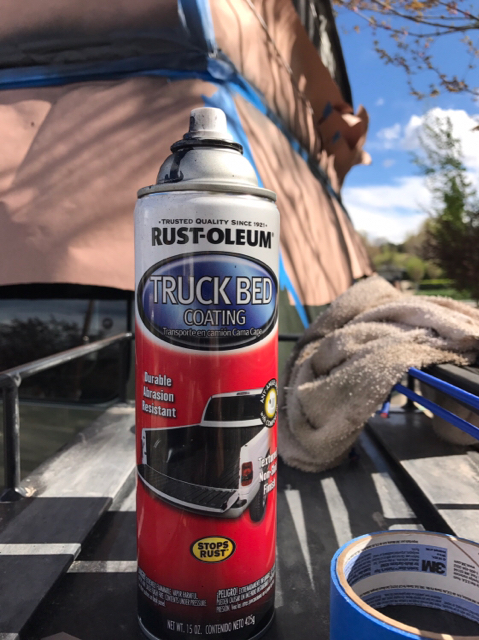 My plan was to sand/grind old cracked sealant and rust, treat rusted areas with por15 or similar and then re-do seals with Dicor self leveling sealant, then spray with raptor liner. Just noticed this thread which is pertinent to your question. I just lightly sanded the rust that formed from the pop top gasket rubbing from the roof area around the gutters to the canvas. 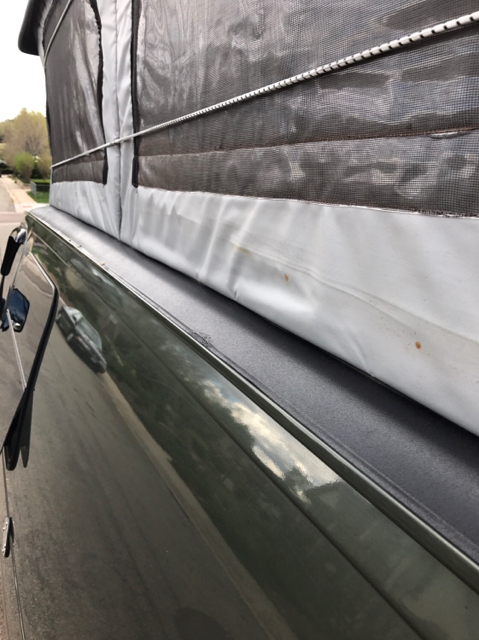 I taped it off and sprayed it with rust-oleum truck bed liner, came out looking great and seems to be holding up well. Also posted this up in another thread....sorry for the repeat, but seemed relevant. You seem to be on the right track, do not apply the Raptor liner on bare metal though!! If you do the por 15 then still scuff it up with a red scotchbrite pad after it's dry, all paint and glossy areas need to be scuffed up and any bare metal areas use a self etching primer first. Mine didn't have rust yet so I just scuffed then cleaned it good with acetone, sprayed a little adhesive promoter to get in the cracks (also a Upol profuct) then the liner. For the under lip tape it off first then scuff, the tape will be strong enough to protect your paint and you will be able to prep up to the line you want to make, this will also help doing the rockers and getting a straight clean tape line, I scuffed the paint a little, then after taping them cleaned the residue and sprayed adhesive promoter followed by liner to help keep the line sharp after peeling the tape off. All times are GMT -6. The time now is 04:09 AM.